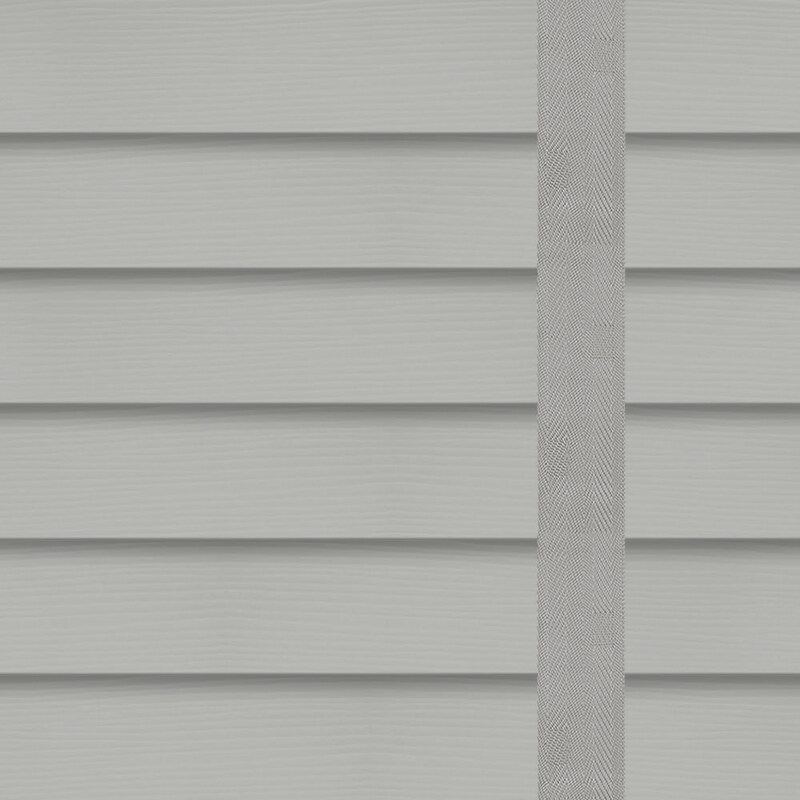 With their on-trend colouring, these luxurious medium grey faux wood blinds feature decorative tapes and a fine grain finish to complete the contemporary natural look. 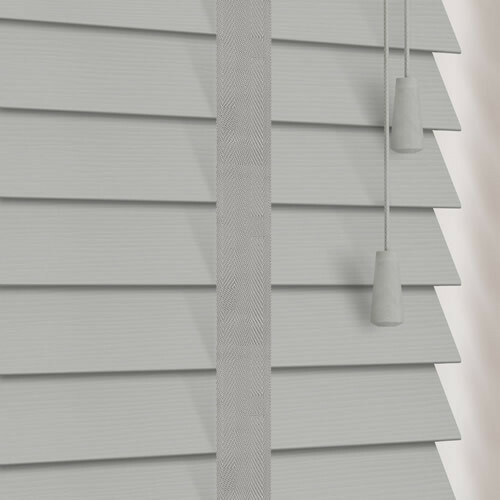 Their robust slats are also waterproof and easy wipe-clean so they both an extremely practical and stylish choice for any window. Excellent value, good craftsmanship, excellent after sales service, would definitely recommend to family and friends. Excellent service, good accurate product, good packaging. Excellent service and value for money. 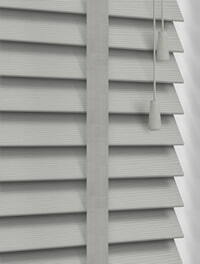 We will definitely use English Blinds again. Website very easy to use. Prompt service and delivery. 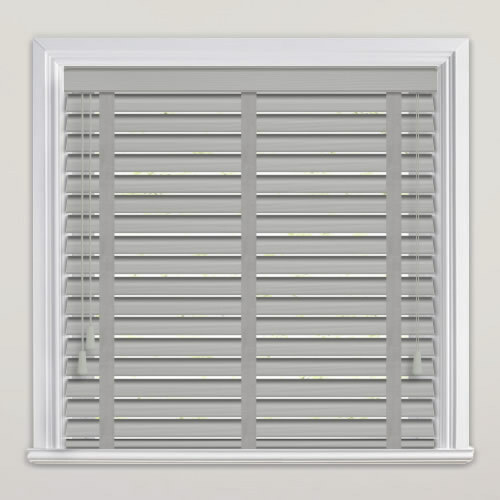 I've had two blinds made and both have been excellent. 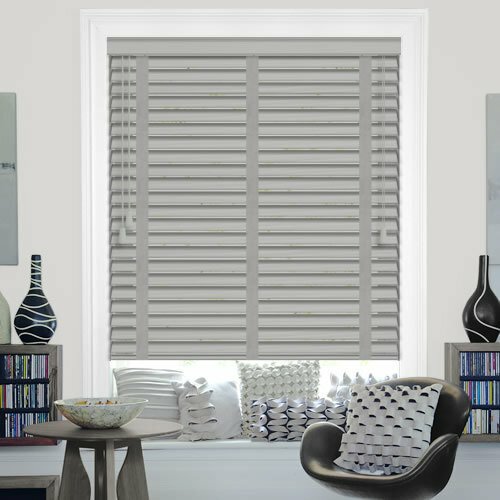 I would definitely recommend English Blinds.